The Fallen Angel blends the herbal-citrus notes of gin with just a touch of mint and some lime juice. It may sound like a strange combination, but it works better than you might expect. The overall flavor is citrus and mint with just a touch of sweetness. It’s a refreshing drink, almost bracing. It pairs very well with Thai dishes that use mint as part of their flavoring. Fill a cocktail shaker halfway with ice. Pour in all the ingredients and shake until chilled. 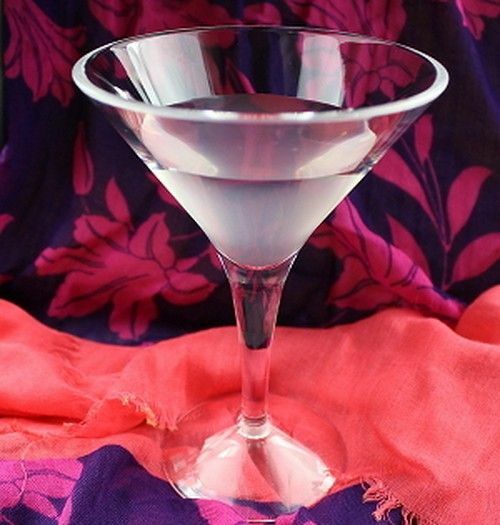 Strain the mixture into a martini glass.